The Ed Voyles Acura dealership offers a beautiful selection of new Acura cars and SUVs including the new Acura ILX in Johns Creek, Georgia. Our new Acura inventory has a variety of ILX models to choose from with a wide choice of trim levels and color options. Browse our new Acura and used inventory online to see photos and compare prices, vehicle details and trim options online. Affordable Acura financing and leasing are available at our dealership. Our auto finance team will explain all of your options and the benefits of buying or leasing a new Acura or used vehicle. We can also help you take advantage of factory incentives and other special offers. A complete auto service center is located on our premises offering Acura maintenance and repair. Bring your vehicle to our auto center for oil changes, tune ups, wheel alignments or more extensive diagnostics and repair. Our technicians understand your Acura inside and out and will help you to keep it running perfectly. 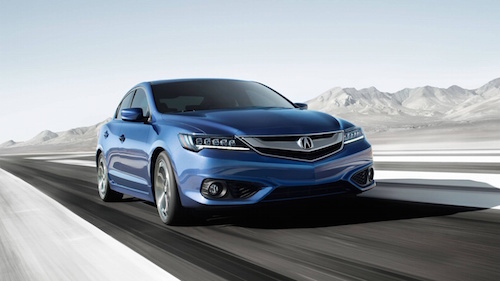 If you have any questions or would like to test drive a Acura ILX in Johns Creek, GA, please feel free to Contact Us.